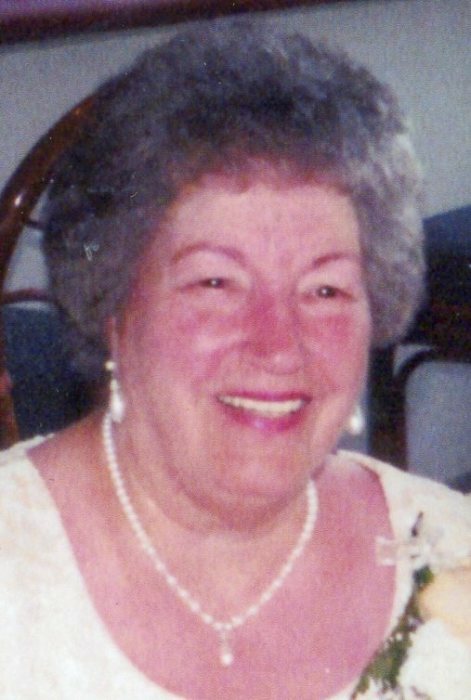 Theresa M. (Cyr) Deveau, age 88, passed away peacefully in the Walpole HealthCare Center on Monday, April 8, 2019. Born in Berlin, New Hampshire on August 29, 1930, she was the daughter of the late Alcide and Marie L. (Croteau) Cyr. She was raised and educated in Berlin, graduating from Berlin High School with the Class of 1949. After completing her education, Theresa took a position with the Berlin Hospital, working in the emergency room. Theresa married her beloved husband, Alan C. Deveau, on August 20, 1956. The young couple made their home together in Walpole, Massachusetts in 1958, where they welcomed their two children, Janet and Diane. While living in Walpole, Theresa took on the role of a homemaker, raising and caring for her family. Once her children had grown up, Theresa returned to the working world, taking a position with J&R Dry Cleaners, before starting work with United Citrus in Norwood. She remained at United Citrus for the next 20 years. Theresa maintained a busy social calendar, regularly spending time with her close friends, shopping and going out to eat. She also enjoyed bowling and was a longtime member of a local league. Most of all, Theresa was devoted to her family and loved traveling back to her home town of Berlin to visit her extended family. Beloved wife of the late Alan C. Deveau. Loving mother of Janet M. Roberts of North Port, Florida and Dianne L. Clark of Attleboro. Cherished grandmother of Jennifer Roberts-Eggbert of Flordia. Phil, Leo, Richard, Paul and Wilfred. Relatives and friends are kindly invited to gather for Theresa’s Life Celebration on Monday, April 15, 2019 from 9 to 10:30 AM in the James H. Delaney & Son Funeral Home, 48 Common Street, Walpole. A Mass of Christian Burial will be celebrated in Blessed Sacrament Church, 10 Diamond Street, Walpole on Monday, April 15, 2019 at 11:00 AM. Interment will be private at the request of Theresa's family.